Take the sting out of shooting heavy shotgun loads with the Kicklite Tactical. Each stock is custom designed to fit your specific shotgun model (excluding Maverick 99). 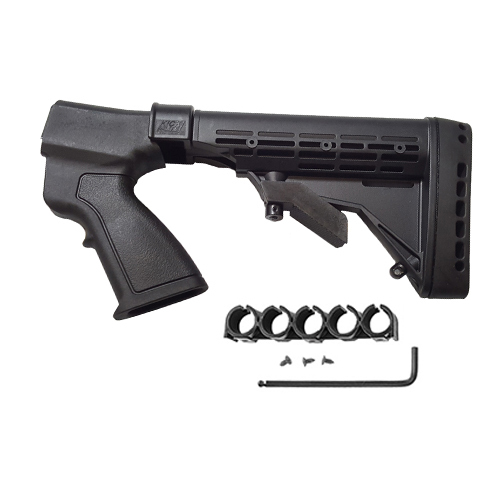 The 6-position collapsible stock makes it easy to shorten the length of pull for smaller framed females and youths, or to extend it for the big guys who just don't want to put up with punishing magnum loads. Package also includes recoil pad, sling swivel, and shot shell carrier. Length of pull: 11.5-15 inches, no gunsmithing required.